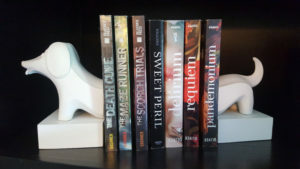 TOP 10 FAVORITE BOOKIE GIFTS FOR THE HOLIDAYS! 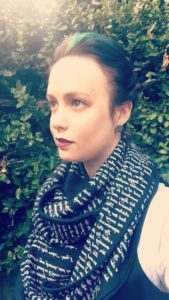 This b-e-a-utiful scarf is from www.storiarts.com. The scarf I am wearing is the Dracula Book Scarf. There are MANY more to choose from: Alice in Wonderland, Sense and Sensibilities, Anne of Green Gables. the list goes on and on! 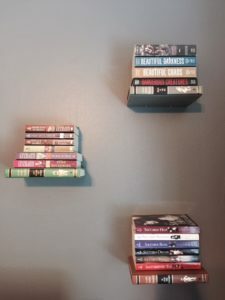 My beloved floating book shelves; quite magical, don’t ya think? 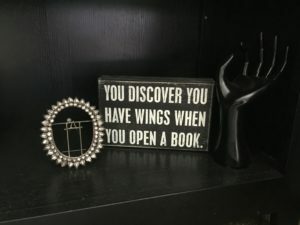 I have received loads of compliments on them, and they’re the perfect solution to your over-flowing book problem! 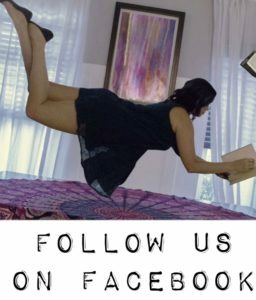 Just head over to google and type in “floating book shelves”! Book flags! These are the most precious and nostalgic book flags out there, and they’re only 5.95 at B&N! 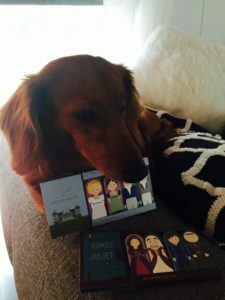 Romeo and Juliet, Pride and Prejudice!? Love! And shout out to Gumdrop for being a very patient and gorgeous model! I bought this gem at Universal Studios. Honestly, I don’t have a proper name for it. 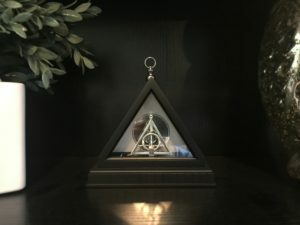 At first, I thought i bought a beautiful decor piece, but then realized the Deathly Hollows symbol is actually a NECKLACE! SCORE! It’s like a 2 for 1. Universal has an online gift shop, browse all the amazingness while you’re there! 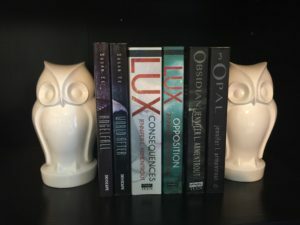 Owl Book Ends, I have a sweet spot for owls since Harry Potter. An obsession that will never end for me. Find them at Barnesandnoble.com! Weenie dog tested, Candace approved! Once again, another item from B&N, I just can’t stop myself. Bonus points for being a dual purpose doggy sleeper. This one is a little book specific. If you have read The Lux Series by Jennifer Armentrout, then you know about the importance of ONYX! 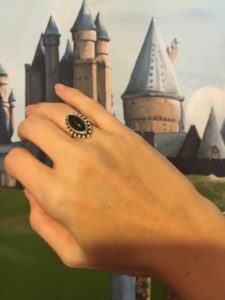 I got this awesome-sauce Onyx ring at James Avery. Totally worth the price! I never take it off. Broken record here, got it at B&N. One of my long time favorite quotes, and there are oodles more with different quotes! Hunger Games!!! I’m sad to say that my husband bought me this last Christmas, and I can no longer find it. BUT, Hot Topic has TONS more! And let me tell you, they’re sturdy. 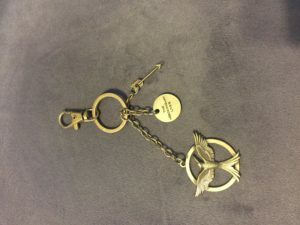 This is the only key chain I have not broken! This is self explanatory. I love weenie dogs. 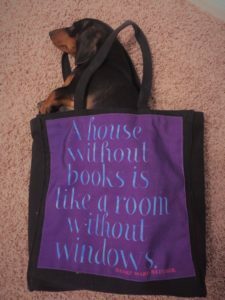 Jonathan Adler has designed all sorts of things for book/weenie lovers (HA!). A lot of his things can be found at…. you guessed it, B&N. Okay, so this technically isn’t book inspired. But Once Upon a Time gives me those same booky feels as a good novel. 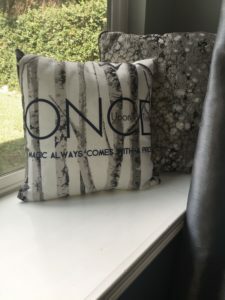 Go over to Etsy.com and type in “Once Upon a Time Pillow”, then spend hours looking at all of the neat and creative fandom inspired pillows!